"Aloha Spirit" is the coordination of mind and heart within each person. It brings each person to the self. Each person must think and emote good feelings to others. These are traits of character that express the charm, warmth and sincerity of Hawaii's people. It was the working philosophy of native Hawaiians and was presented as a gift to the people of Hawaii. A few facts about Maui; the island is 48 x 26 miles in size with a population of approximately 160,000. The average temperature is between 70 to 80 degrees with water temperatures at a heavenly 75 to 80 degrees year-round. 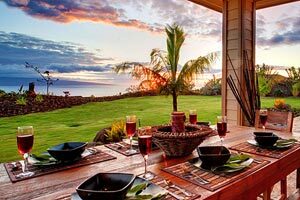 I arrived at the Maui airport around 2:30pm and drove the 40 minutes to my villa in Launiupoko, approximately 5 minutes drive south of Lahaina on the west coast of the island. I would be staying at Villa EEI OBR, a 3 bedroom, 3 bath villa. It was a welcome surprise to find the villa stocked with water, coffee, cereal and lots of Maui specialty items, macadamia nuts, cookies, juice, and muffins. 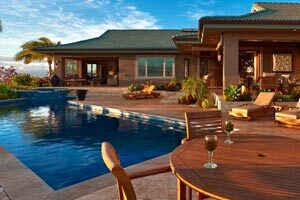 This is standard for our villas on Maui and a nice treat as I settled in for the evening. The Ka’anapali area of Maui is very popular. The villas here are beautiful and newer in age. It’s a very attractive area with gorgeous golf course and beaches. There is plenty of easy parking and it’s very easy to navigate. We had lunch here one day at Maui Fish and Pasta in Whaler’s Village, located near the beach. Just south of Ka’anapali is Lahaina, at one time a huge whaling port. The town has grown and now offers dining, nice shops and historic sites. Many of the whaling sailors are buried in Lahaina church yards and Lahaina has the oldest hotel in Hawaii, the Pioneer Inn. I loved having breakfast there in the morning and listening to Archie, the resident African Gray, who has tons to say. We also lunched on fresh fish at the Mala Ocean Tavern, I had a mahi mahi sandwich, and the tomatoes were fantastic. It was mango season on the island and Lahaina residents sell their own mangos on the side of the road. Sometimes you can just pick them up off the road! Several of the villas have their own orchards and guests are invited to pick fruits. We picked limes and papayas at one of the villas. 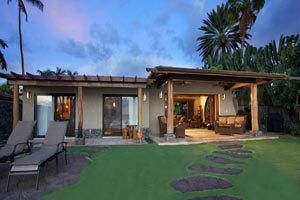 Villa EEI KAM in Lahaina is a charming 3 bedroom villa that would be great for families. Its waterfront location brings the house refreshing breezes, making vacation lounging very comfortable. My last 2 nights, I stayed at the Inn at Mama's Fish House in Paia - what a lovely spot. Paia is only 10 minutes from the airport at the beginning part of Hana Highway that takes you on the winding road to Hana. Paia is home of some of the world’s best surfers. Laird Hamilton for example lives in Paia. Unbeknownst to me, I had breakfast at his favorite breakfast spot called Anthony’s Coffee. Too bad he wasn’t there. My room at the Inn was in the garden. Each room is named after a fish - mine was Ahi. When you are a guest at the hotel you are given a 15% discount at the restaurant which is a good thing because the restaurant is expensive, but so so good. I seriously have had some of the best meals of my life at the Inn. I enjoyed getting a sense of distance and neighborhoods on the island and revisiting some of the cool upcountry towns. I had a cream puff for breakfast at Komodos bakery in Makawao, so good, walked through the towns, visited some of the beaches, wandered Whaler’s village and Lahaina, and watched the surfers up at Hookipa beach. Maui is lush, but is drier on the west side. Hana receives much more rainfall and upcountry towns such as Haiku get frequent rain showers. 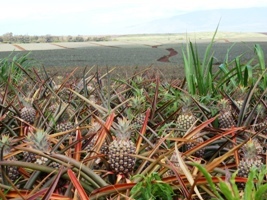 The plants are exotic - you still see a lot of sugar cane and pineapples growing, orchid farms, there is even a winery. Hawaii is such an exhilarating destination and offers so much. The villas are terrific and a great value. Aloha.